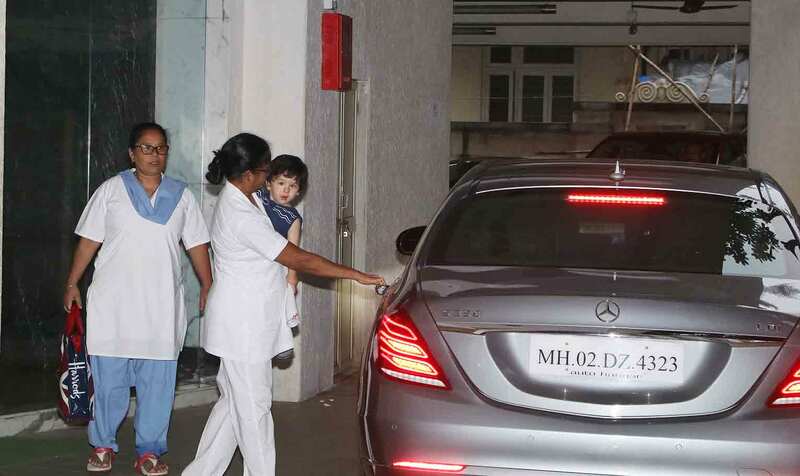 Saif Ali Khan and Kareena Kapoor Khan's adorable son Taimur Ali Khan needs no introduction. 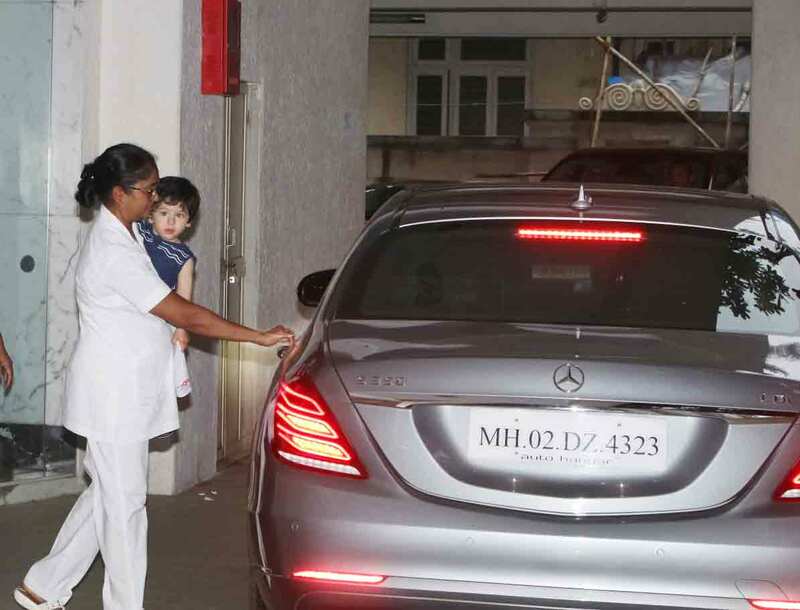 The cute little bundle of joy knows how to steal hearts with his cute antics is the favourite of paparazzi. Definitely, he knows how to respond to cameras and has even learnt how to pose for it. An internet sensation at just one-and-a-half-year-old, Taimur already has a huge fan following and one can't get enough of him. The cute little button was once again snapped in the city today as he was exiting the residence of his grandmother Babita in Bandra. 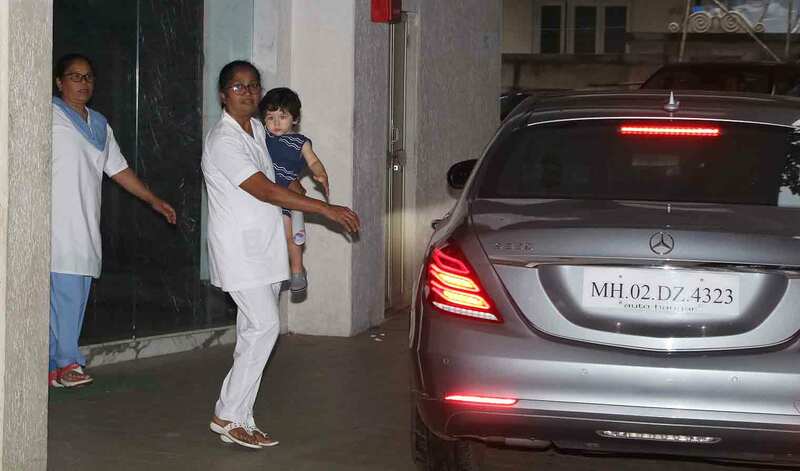 Taimur was seen in the arms of his nanny as they headed towards their car. No wonder, he looked lovable dressed in a blue striped tee, tiny orange shorts and blue Crocs. Taimur certainly knows how to respond to cameras. The little munchkin was clicked curiously looking at the camera while getting clicked by the paps. 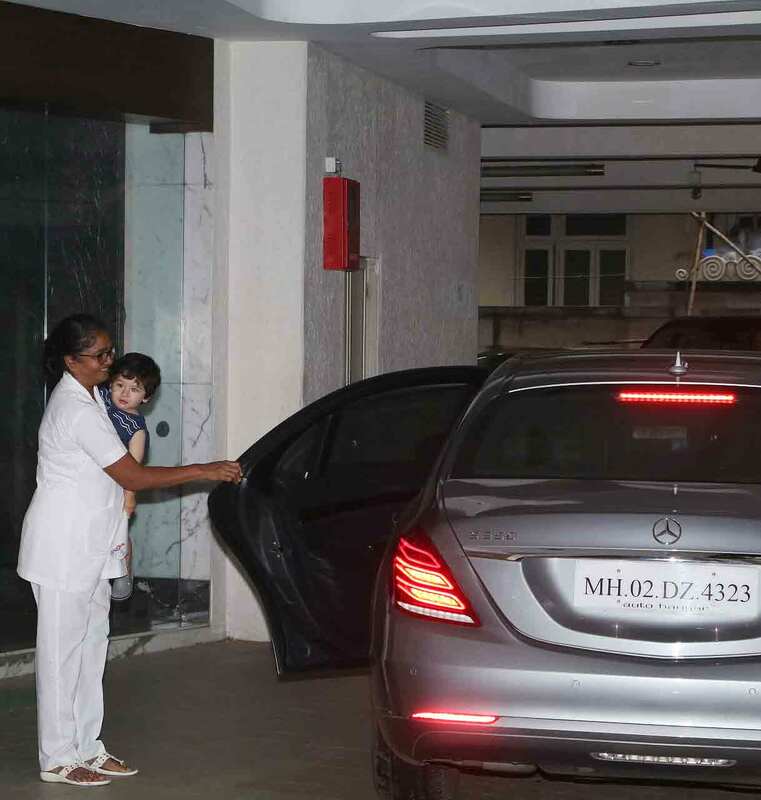 On being called his name, Taimur flashed his million dollars smile and even waved at the paps before getting inside his car with his nanny. Recently, in an exclusive interview News18, Saif disclosed that due to his overly grown beard, Taimur has started refusing to kiss him and prefers giving pecks only on his hand. Only last month, Taimur was on a month-long vacation in London with his parents Saif and Kareena and grandparents. 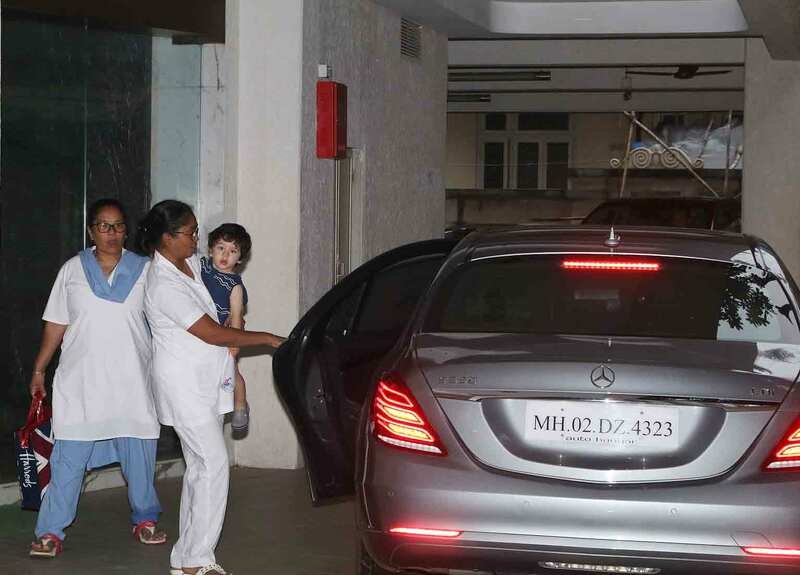 His aunt Karisma Kapoor had also accompanied them with her children. In the past, Saif and Kareena have several times expressed their concerns about the huge media attention on their son and stated that it bothers them as parents.